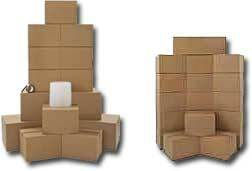 Albuquerque Moving & Storage is a full service moving, storage and commercial distribution company. Serving New Mexico since 1949 and an agent for Allied Van Lines. Albuquerque Moving & Storage is known for quality relocations. Whether you are moving within the State of New Mexico, or to another State from New Mexico, we provide the best moving services at the best price - - - Guaranteed! As a local service provider for several national accounts, Albuquerque Moving & Storage can provide any type of moving service, office and/or industrial relocation, and logistic management with high quality results. Through our state of the art facility, professionally trained crews, and fleet of trucks, your household goods will be handled with the utmost care. We promise to вЂњRespect you as the customer,вЂќ and work hard everyday to become your most committed Albuquerque Moving Company! As an Albuquerque Moving Company since 1949, Albuquerque Moving & Storage has been your trusted mover for over 60 years. As the local interstate agent for Allied Van Lines, Albuquerque Moving & Storage is capable of handling any size move from anywhere in New Mexico to anywhere in the World.